Life would be great if we could get along with every person we see on a on a regular basis, but that’s often not the case. So, what do you do when you have to interface daily with someone who doesn’t see eye-to-eye with you? If you have to deal with a difficult person on a regular basis, here are five questions to mull over. 1. How do I respond to someone who is being difficult? 2. What is within my power to control in such a situation? 3. What things are beyond my control? 4. What steps can I take to improve such a relationship, and am I willing to do that? 5. If the negative behavior continues, what are my options? It’s almost here. We’re so excited! 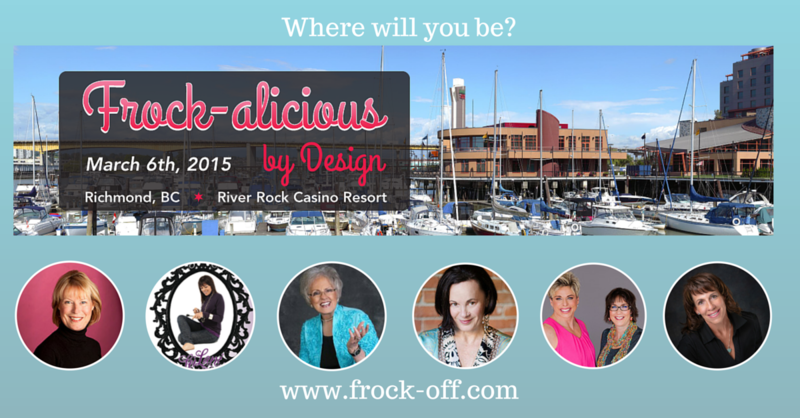 Frock-alicious by Design is less than two weeks away! Today we are spotlighting Pamela Chatry, well-respected business manager extraordinaire and our Frock-alicious emcee. Did you know that there are over 800,000 women-owned business in Canada? Did you know that 1/3 of all women-run enterprises generate less than $50,000 in annual revenue? Did you know that most women give up, thinking it’s not possible to ever reach the $1MM mark? It is possible to get there. It takes a driven woman and a structured approach. Pamela will share with you some easy to implement tips to help your business get to the next level – whatever your goals are. Pamela Chatry has been a trusted and highly respected Business Growth and Profitability Specialist, Mentor for Women in Business, Self-Employment Advocate, Trainer and Keynote Speaker for over 25 years. Pamela’s clients cross international borders and industries. They all share one important similarity, a driving desire to build a bigger and better business. Pamela is the Vancouver Chair of The Woman’s Advantage Forum, a structured program that enables women with small businesses to grow them to million-dollar businesses and beyond. She is also a seasoned Business Coach for the international business development program, The Gemini Effect. This program provides established businesses with revenues exceeding $1M with planning and implementation support during challenging growth phases. In addition, Pamela is a Mentor for the Cherie Blair Foundation International Women In Business Program. She has been awarded the ‘Business Person of the Year’ award from the Kitsilano Chamber of Commerce in Vancouver, BC, the ‘Inspiring Transformation’ award by eWomenNetwork. An ardent supporter of all things entrepreneurial, Pamela’s mission is to see the entrepreneurial spirit soar in small business owners across the globe. 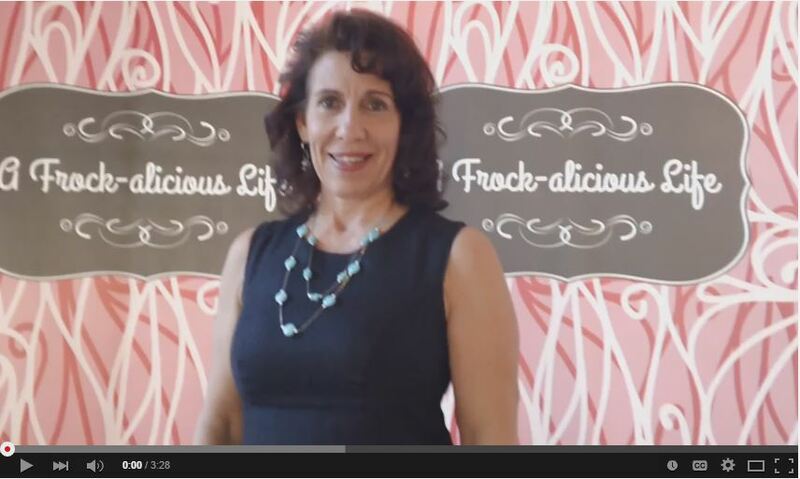 Frock-alicious by Design is a powerful day of growth for your life and business. Who do you know who would appreciate knowing about this event? Make a difference in their lives. Share this video with them today. 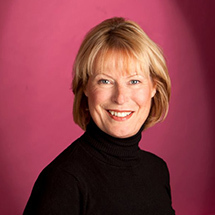 This past January, we said goodbye to one of British Columbia’s – and Canada’s – influential women who worked tirelessly to change the game for women in Canadian journalism and politics. A woman known for her outspoken and fearless character, Simma Holt came from humble beginnings. Born 1922 in Vegreville, Alberta where her interest in journalism was sparked and fostered by the sole proprietor of the small town’s paper, her life’s work as a trail-blazing female journalist truly began during studies at the University of Manitoba. As a student during World War II, Simma became the first female editor at the university’s student newspaper The Manitoban, and university correspondent for The Winnipeg Free Press. Many comedic accounts are recounted of Simma’s shining moment clogging up the teletype machine at the Canadian Press in Calgary on D-Day. At the end of the war, Simma headed west, taking a position as a journalist with The Vancouver Sun, the start of a 30 year career. She was an anomaly for the profession at a time when reporters, feature writers and columnists were positions held by men – other than the women’s “Keeper of the Home” column! Simma paved the way for females in this male-dominated field, telling the hard-edged stories of Vancouver’s crime scene, prostitution, and the marginalized underdogs. She put herself in places and circumstances that were deemed irrational and inappropriate… for a woman. Being female never held her back. 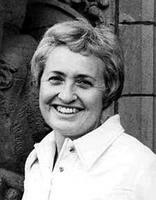 In 1974, Simma became 1 of 2 women representing BC in the Canadian House of Commons, where she stood against the anti-Semantic and anti-feminist attitude of peers. Upon reflection of her time in politics, Simma most notably stated it as being a “silly old boys club & waste of time!”. She couldn’t wait to get back to journalism. Across her lifetime, Simma made many contributions to society, notably recognized as the first female journalist in BC inducted into the Canadian News Hall of Fame, and her Membership to the Order of Canada for her “lifetime commitment to assisting those suffering from injustice, persecution and poverty”. As we recognize a woman whose life is marked by the determination and perseverance to march onward and upward in the face of adversity, be inspired to blaze your own trail. Do nothing peacefully or quietly. Make your mark on this world bold and resounding for the women who come behind you. Your customers have so many insights and ideas to share with you, if only you’ll ask them. Now I’m not suggesting that you pepper them with surveys or polls, or that you constantly bug them with superficial questions. But asking the right questions face-to-face with key customers can go a long way to creating a more-profitable business. One key thing to remember is this: Follow up on their comments, if only to tell them why you cannot do something. If you ask them to invest their valuable time, be sure they’re aware of the results one way or another. Here are five questions you might start with. Five Questions to Ask Your Five Best Customers. Really listen to this answer. Whether it’s social media, website, trade show, or referral—whatever your top five customers say, is where you should spend your marketing budget. 2. What made you choose us? You might learn that what you consider your strengths don’t even register with the customer, while what matters to them might be something you’ve not even considered. 3. What professional groups or trade associations do you belong to? If you are looking for more customers just like them, this answer will tell you where they congregate. 4. Can you share an example of how we’ve gone beyond your expectations or fallen short of them? This answer will show you what has the greatest value to them so you can focus on that area. 5. What one new offering do you wish we’d provide? The easiest way to grow your business is by increasing revenue through existing customers; so ask what else they’d like to buy from you. Here are five benefits I’ve found to waking up early. 1. Gain time for morning rituals without jumping into the day. An early start allows you to get your bearings—whether you do that through prayer, meditation, or just relishing that second cup of tea. It allows you to get your act together before the craziness begins. 2. Better use of the first half of your day. Because my phone is not ringing and emails are not flooding into my in box, I can accomplish hours of undistracted work before 8AM. 3. Fit exercise into your schedule. I work until about 8:30 and then head out to the gym as kind of a mid-day break. At that time, the parking lot is less crowded and I don’t have to fight to use equipment. Because I work from a home office, I don’t have to deal with rush hour, but if you do, consider the difference in your commute if you were able to be at your desk by 6 or 7 AM. This doesn’t mean YOU have to work longer hours than before. Imagine if you finished up your work day by 2PM every day; you could pick your kids up at school or start a new hobby in the afternoon. If your staff continued working until 6PM, then you’ve effectively turned your company’s office hours from eight a day to twelve. This might be valuable to you, especially if you deal with multiple time zones. One of the key elements we discuss in The Woman’s Advantage® Forum is that of abundance vs scarcity. To be successful, you must find and create opportunities, rather than merely “putting up with” things. An abundant life is not based on luck, but on hard work and good decision making. There’s no reason why you can’t live the most abundant life imaginable. 1. Translate negative events from problems to opportunities. When potential problems cross your path, look for the opportunities hidden within. They are there. 2. Divorce yourself from those with a poverty or victimization mentality. Spend as little time as possible with those who want to drag you into their negative mindset. 3. Absolutely believe that you can control your life. Understand that you are not being driven by outside forces of society and economics. No matter what you encounter, YOU are in the driver’s seat of your life. 4. Avoid jealousy when someone gets a better “deal” than you. You won’t always come out on the top of the pile, but if you’re reading this message on a computer, you are better off than 90% of the world’s population. The only way you can coast is downhill.You have to take a few risks and step out of your comfort zone to live an abundant life.